When Michael Devlin broke the news of his marijuana operation to his family over Thanksgiving dinner, they thought they were being punked. 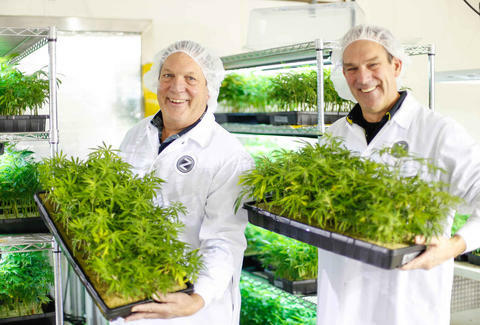 Michael and his two brothers are not the likeliest of marijuana producers. Each is 50+, two are grandparents, and none of them had inhaled since college. But when Washington passed Initiative 502 in November 2012, the brothers struck while the iron was smoking-hot. 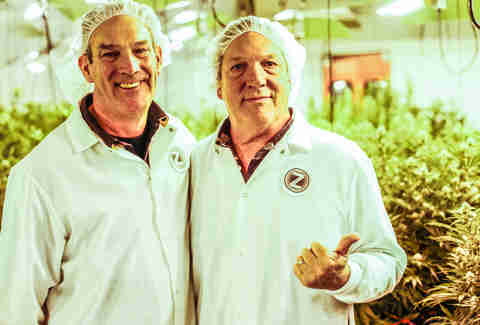 Two and a half years later, they have the makings of an edibles empire. Their company is Db3, a professional marijuana operation on the outskirts of Seattle that employs 30 people. They grow much of the copious amount of weed required to fuel the line of edible chews and drops known as Zoots. Though they haven't been turning out cannabis nuggets and drops for long, they've already become the most popular consumable company in the state of Washington. As their slogan says, stoned was then, Zoots is now. Although the third brother was absent during our visit, we got to know Dan and Michael pretty well. Michael spent his career in food science, working for everyone from Frito-Lay to Oberto. Dan's a serial entrepreneur who has dabbled in everything from furniture to tech. The third man, Patrick, has a marketing background. So how exactly did these unlikely heroes end up blowing the minds of Washington's biggest Pink Floyd fans? By following the damn rules that's how. Becoming a marijuana-related business requires jumping through enough hoops to qualify you as a front-runner for best in show at Westminster. Yes, that is a giant animatronic joint hanging from the ceiling. 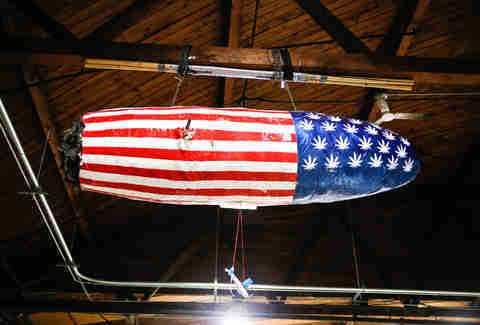 Their product line is built around two strains: the incredibly potent Time Wreck and sativa-heavy downer Blue Dream. Shawn Bishop is the man with the green thumb. He ran a medicinal operation in California, then a gardening store in Austin, and now is the proud Father of two children and 2,860 darling cannabis plants. The marijuana is grown by a method called deep water culture, in which the plants float above a bed of water. The roots are submerged, but kept in motion by a bubbler (not that kind) that pumps the water full of oxygen. The system is designed for maximum efficiency, while requiring only half of the nutrients and substrate of a normal system. Each plant has its own light source that shines for 18 hours a day during the vegetation period in which the plant grows to mature size. Once the canopy of the plant has grown to optimal size, Db3 starts the flowering process by changing the lighting cycle from 18 hours to 12. 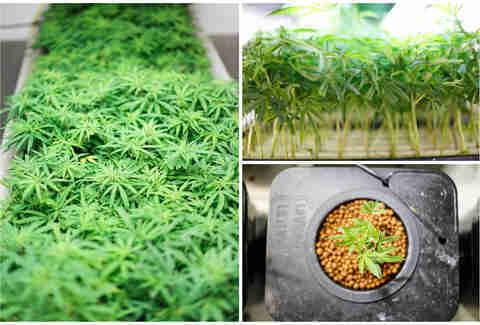 The process from bud to buds takes about two months, after which they walk away with 120 trimmed pounds of greens. 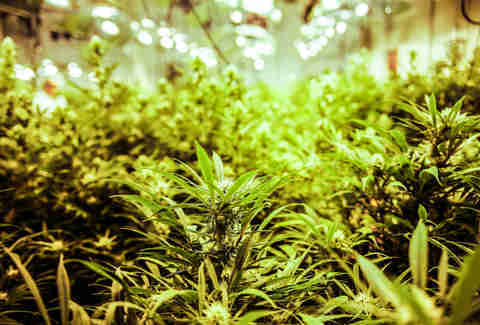 They recently added a second, larger growroom, giving them the capacity to handle 3,000 smaller plants, which are higher-yielding than their larger counterparts. Since all of Db3's marijuana is turned into a liquid extract and none leaves the facility as smokeable product, they pay other growers by THC percentage, not poundage. This has been met with serious resistance from growers, who are more used to eyeballing it. Even so, somebody's still got to pick out the stems and the seeds. 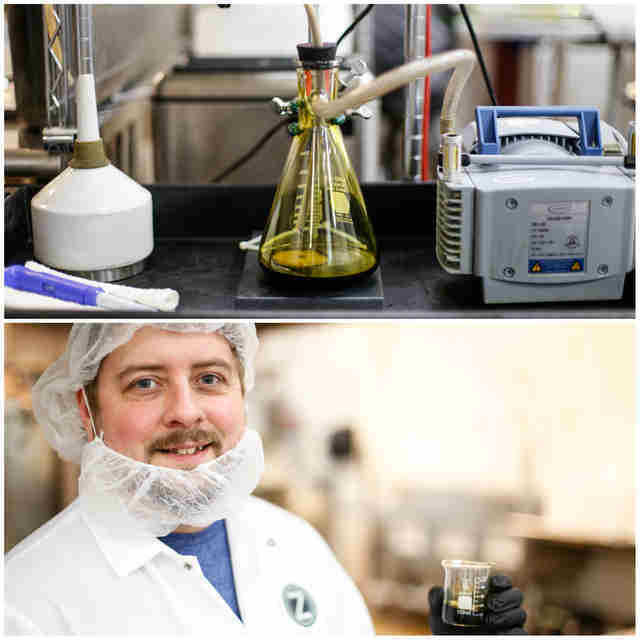 The secretive weed liquification process includes cryogenic temperatures and a ton of not-pictured heavy-duty equipment, which results in a 10% THC extract chased with food-grade organic cane ethanol. 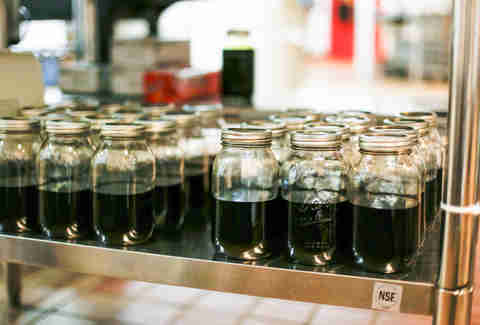 Then, a microbiologist is put in charge of testing the THC content of the extract. No, not by tasting it. With fancy equipment and everything! Each one of these bottles contains 4,000 servings of THC. There are 26 bottles. That's enough marijuana to make over 100,000 people incapable of doing that math. For reference, that's the entire population of Berkeley, CA. Or a sold-out football game at the Rose Bowl, including vendors and players. In other words, this little shelf is where they keep THE STASH. 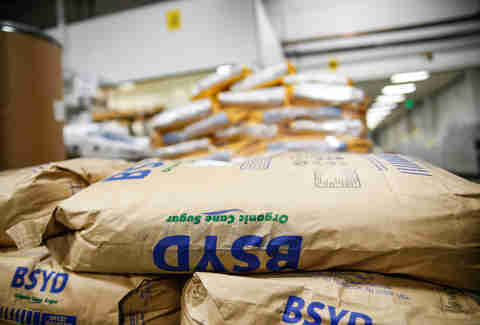 Part of the secret to Db3's success is that they view their operation largely as a food production plant. Marijuana is just another one of the ingredients. 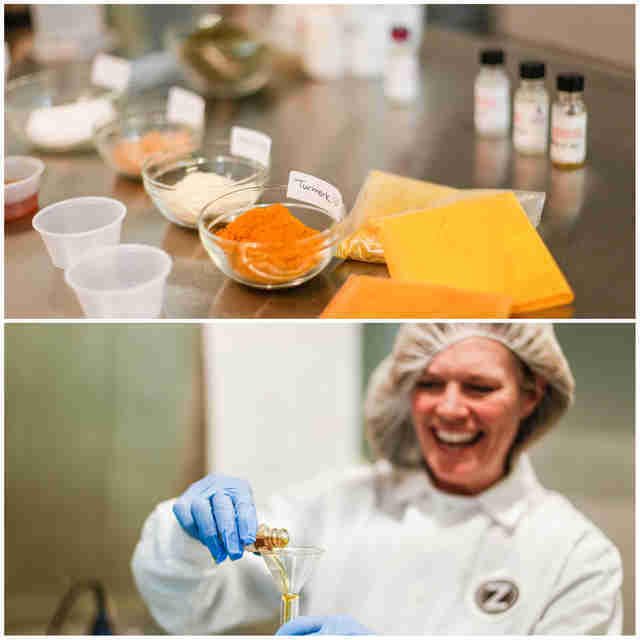 Nancy Coltom is in charge of recipe development and spends her days finding complementary flavors to marijuana, and we're not talking nacho cheese. Little-known fact: it's actually not hard to totally neutralize the marijuana flavor, but Db3 chooses to leave it in so that it's clear people are consuming something intoxicating. 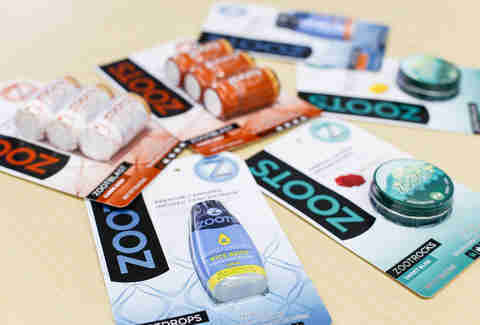 Their signature product is the ZootRock, a rock candy nugget available in either lemongrass or spicy chili cinnamon flavor. The tins are packed with 20 nuggets clocking in at 5mg of THC each, and sold at a suggested retail price of $45. For traditionalists, they offer a ZootBites brownie. Their other products are ZootDrops and ZootBlasts, liquid extracts that feature either a chase of caffeine for an excited high or an extra bit of indica for relaxation. 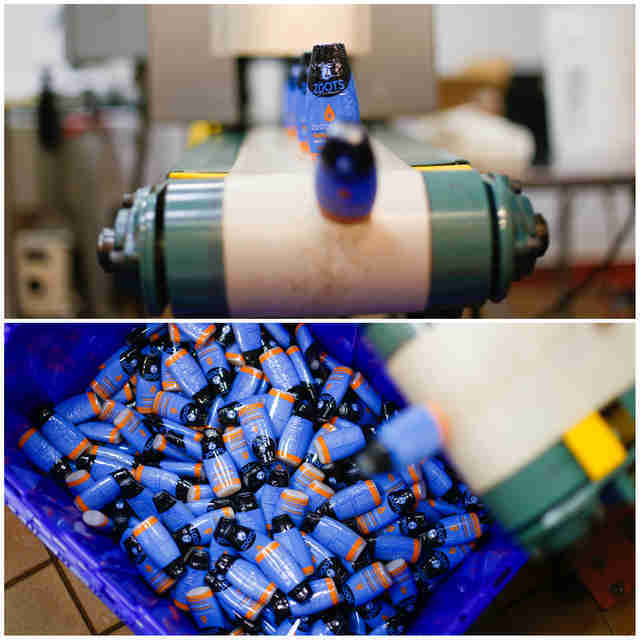 The liquid is flavored with lemon or a mandarin-lime mix, and pumped into bottles using a machine that formerly filled contact lens packages with saline. One of Db3's major challenges is scaling the business. 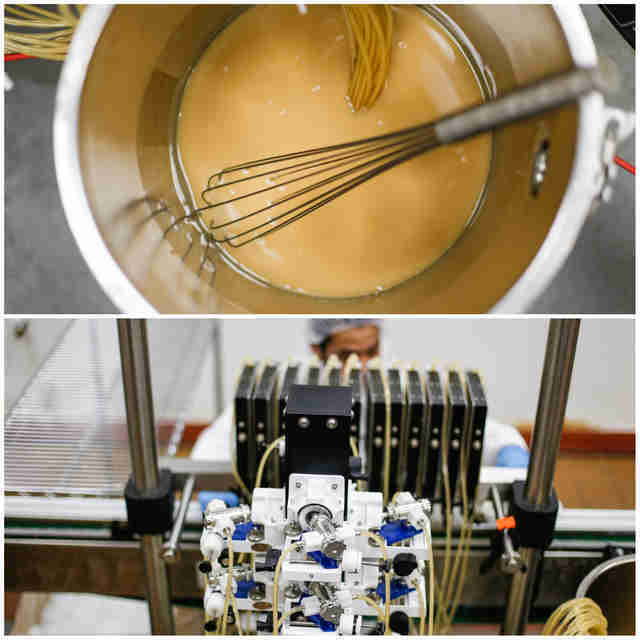 As of now, their equipment is closer to a start-up candy operation than a big-time food production factory, despite the fact that they managed to move 30,000 units in their first month of business alone. 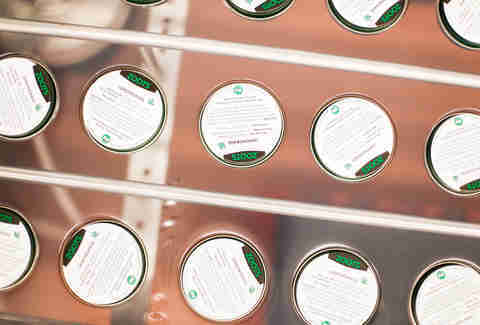 The regulation on edibles is so strict that every plant in Db3's operation is numbered, and the packaging of their products is affixed with a label indicating the specific source plants. The only thing fiercer than the regulation is taxation -- Db3 sends almost 50% of their income back to Uncle Sam. 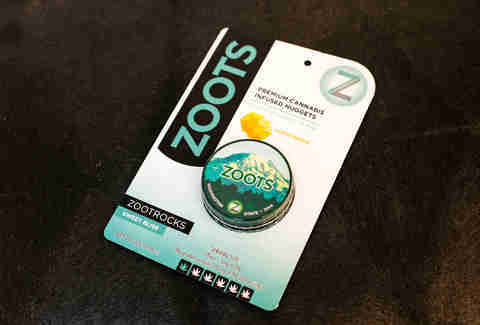 For the moment, Zoots are only available in Washington due to strict rules regarding exporting product to other states. They hope to one day be able to supply their product throughout the country. But how do the three 50-somethings manage the crippling guilt over their product corrupting the minds of innocent Washingtonians? They deal with it very logically. The way the Devlins see it, criminalization of marijuana doesn't stop people who want to use it. 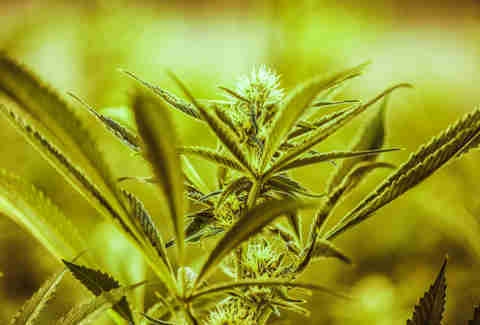 They're filling the demand with a high-quality solution that doesn't require smoking, and whose dose is meticulously measured, ensuring that anyone who reads the packaging knows the exact potency. Doesn't sound like these guys broke bad at all. Dan Gentile is a staff writer on Thrillist's National Food and Drink team. He listened to Peter Tosh's "Legalize It" several times during the writing of this story. Follow him to some dank tweets at @Dannosphere.